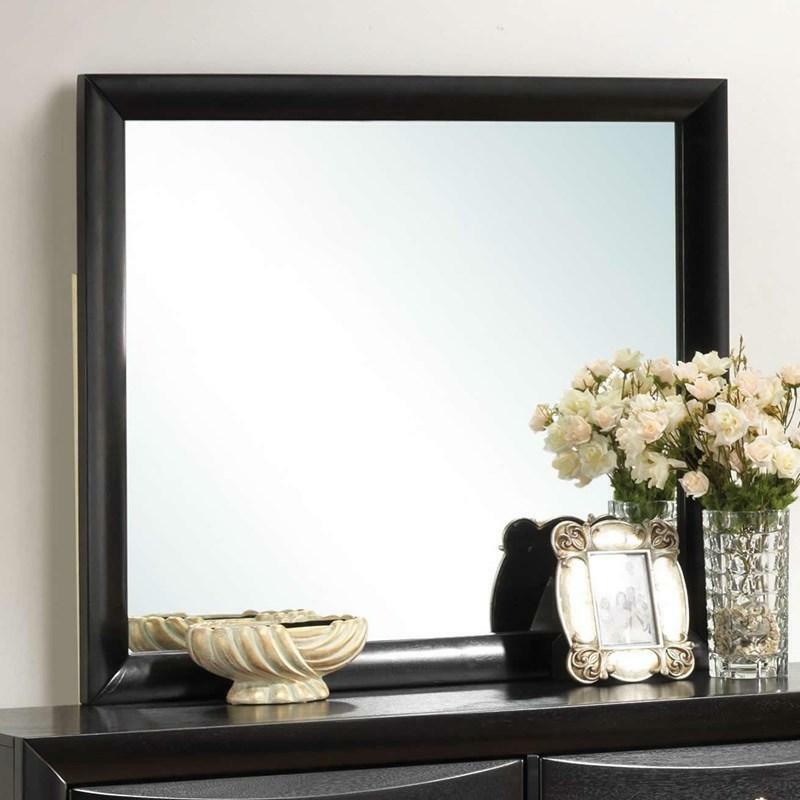 Volume 19.53 cu. 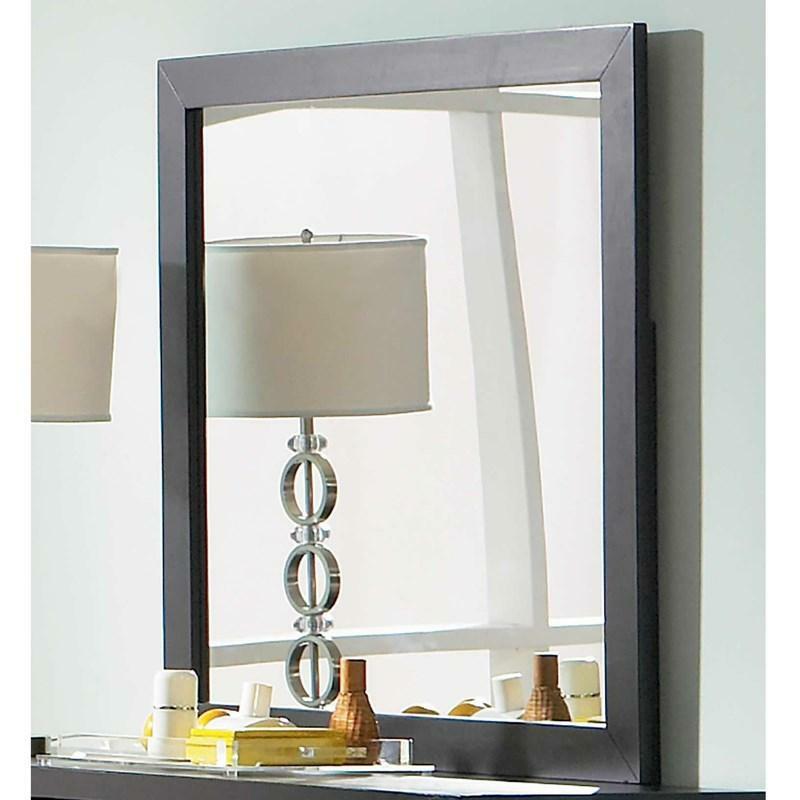 ft. / 0.55 cu. 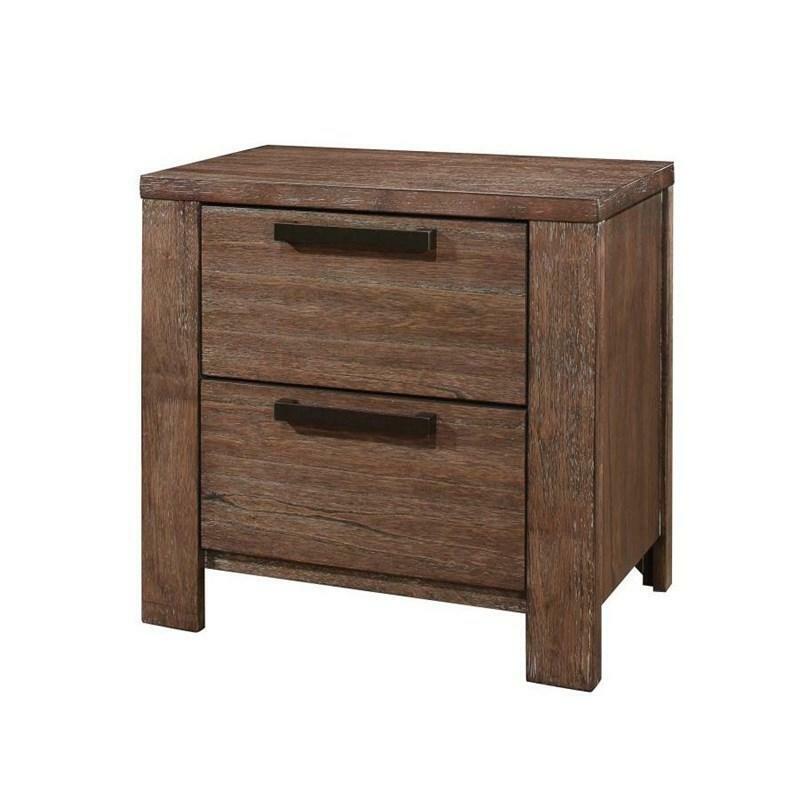 m.
The Caila Nightstand offers a transitional style and comes in a 14-step wire brushed Rustic Ale finish on Mindy veneer and solid pine wood. 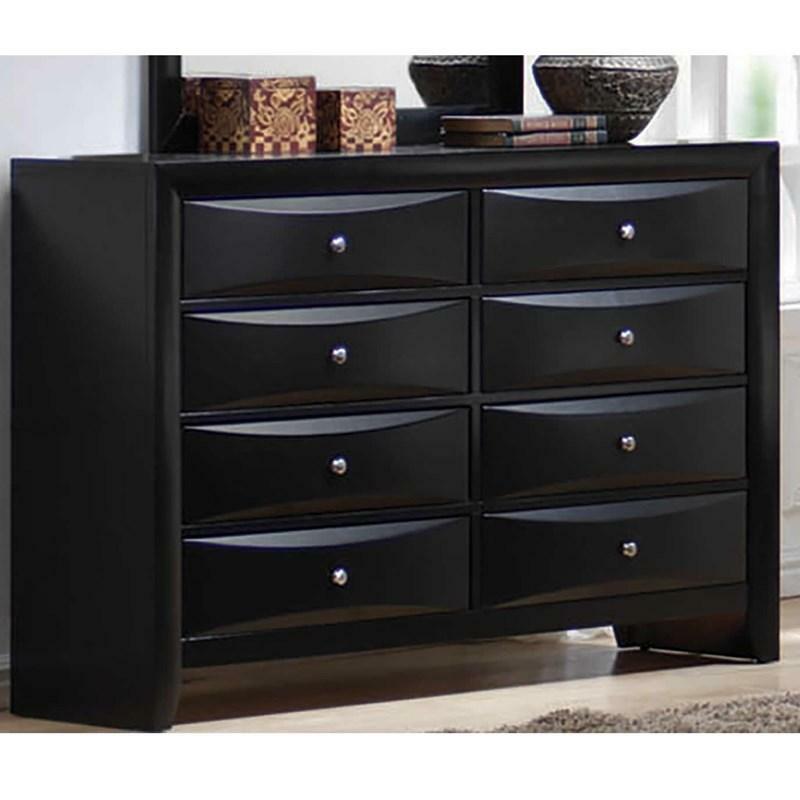 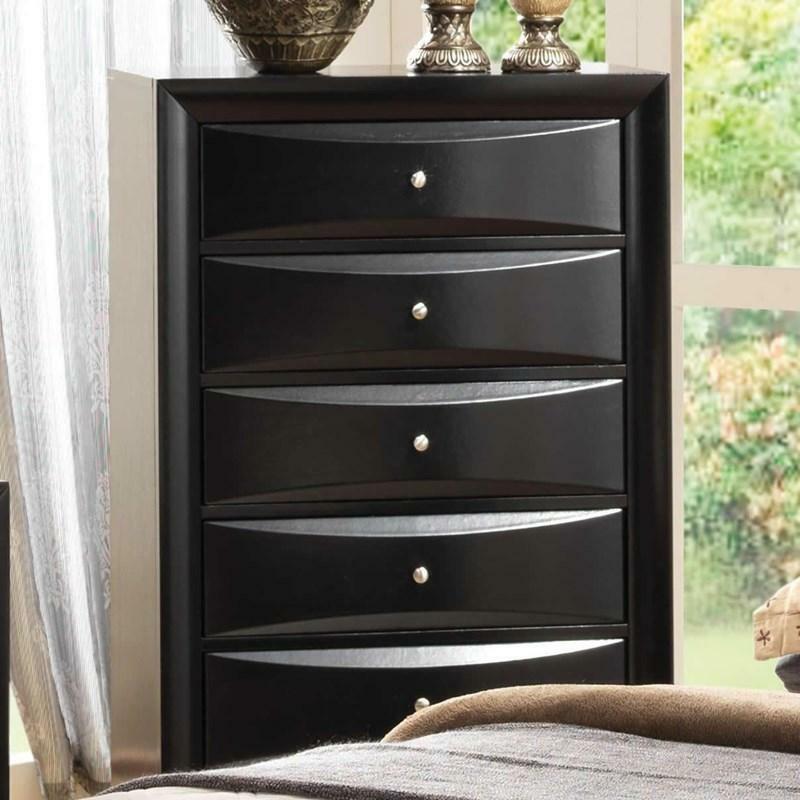 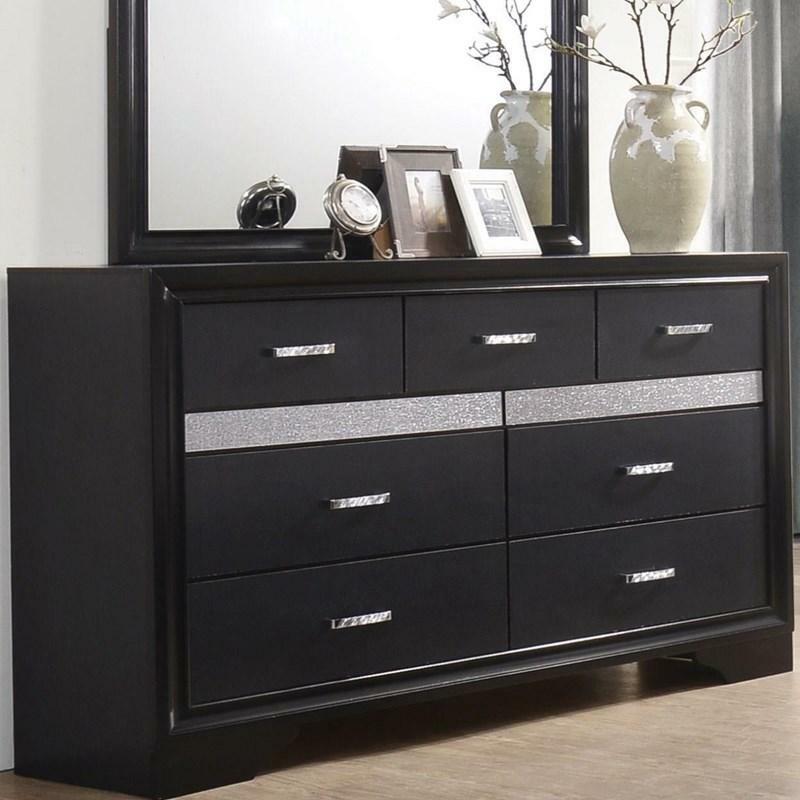 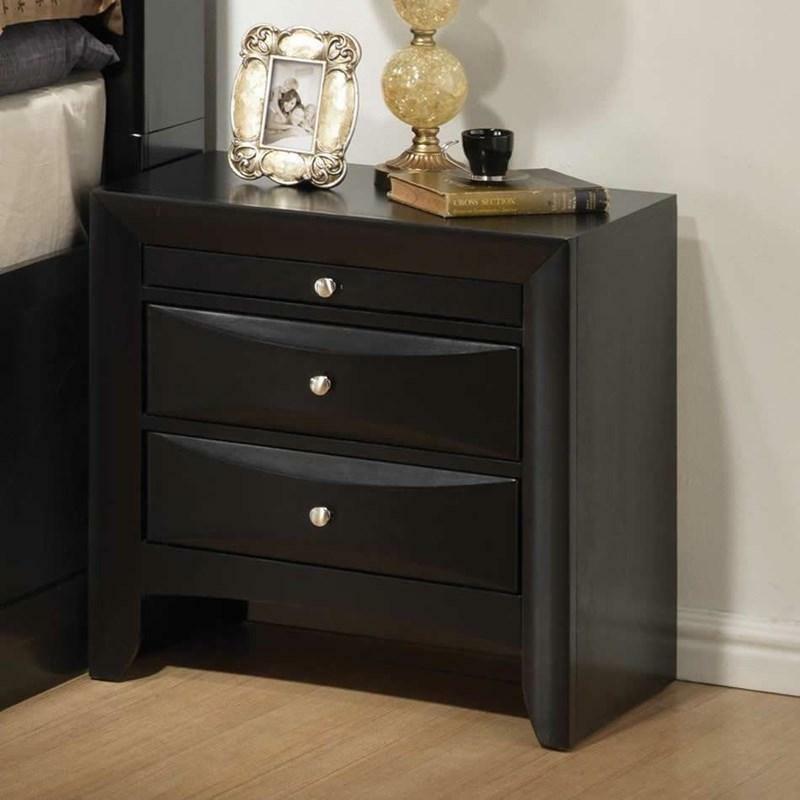 It features two drawers adorned with extra stout black finished metal pull handles. 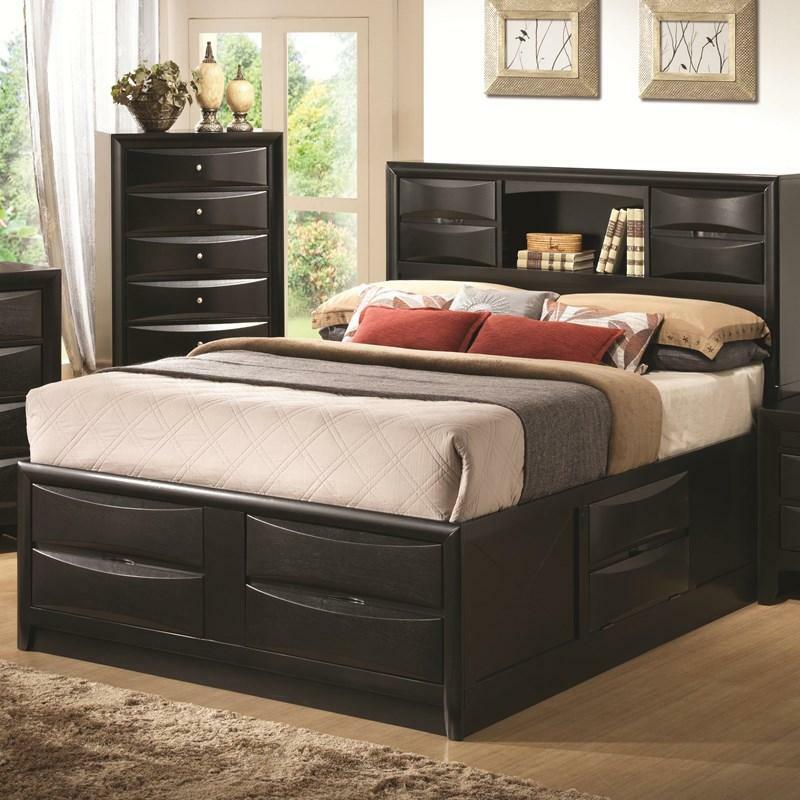 The beautiful transitional design Watson Panel Bed comes in grey oak finish and has black accents. 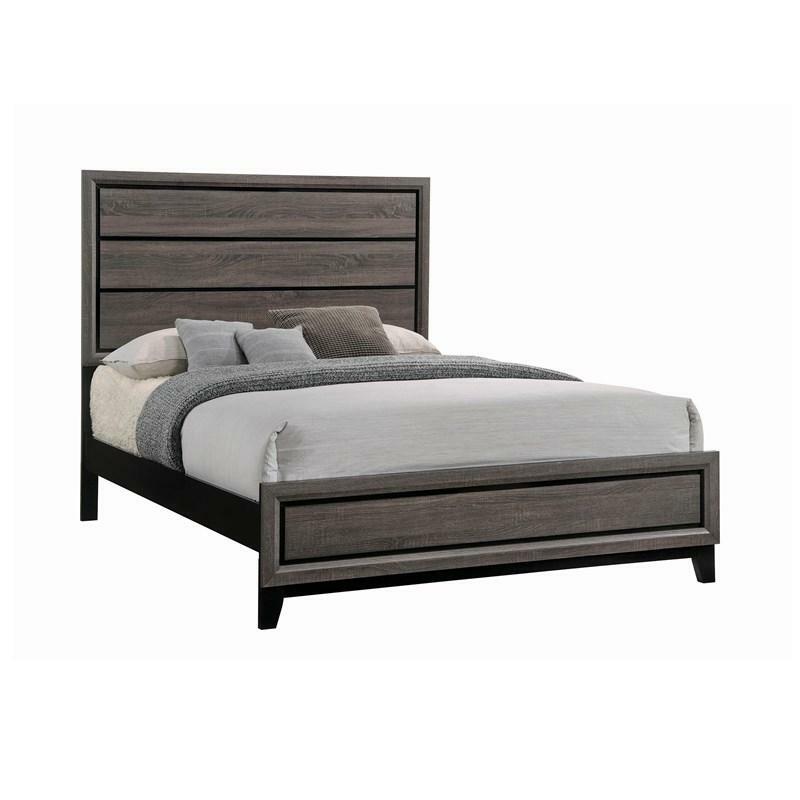 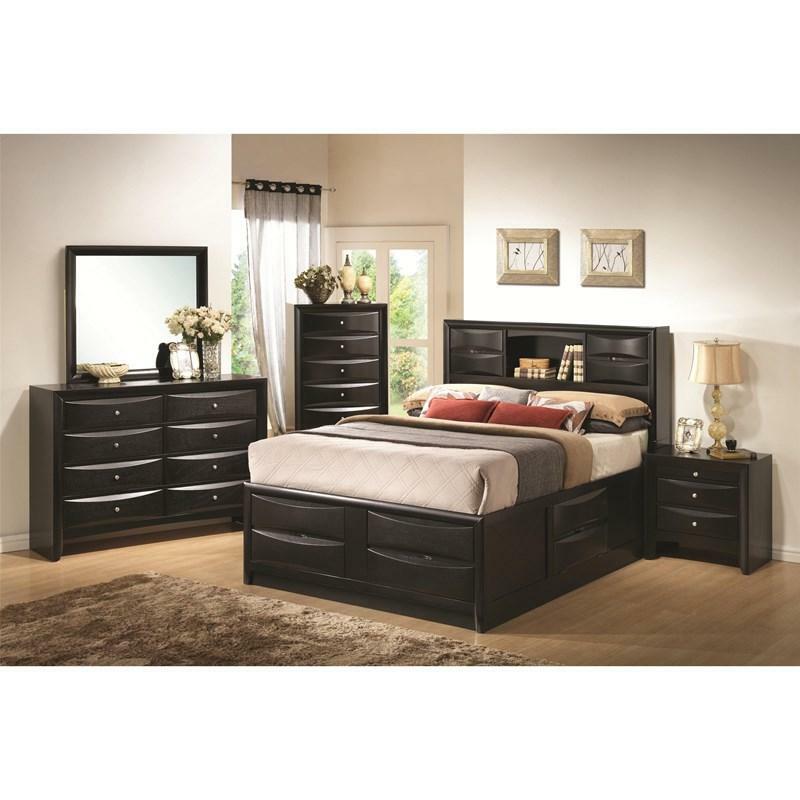 It features a tall framed, plank design headboard and a low profile framed plank design footboard.